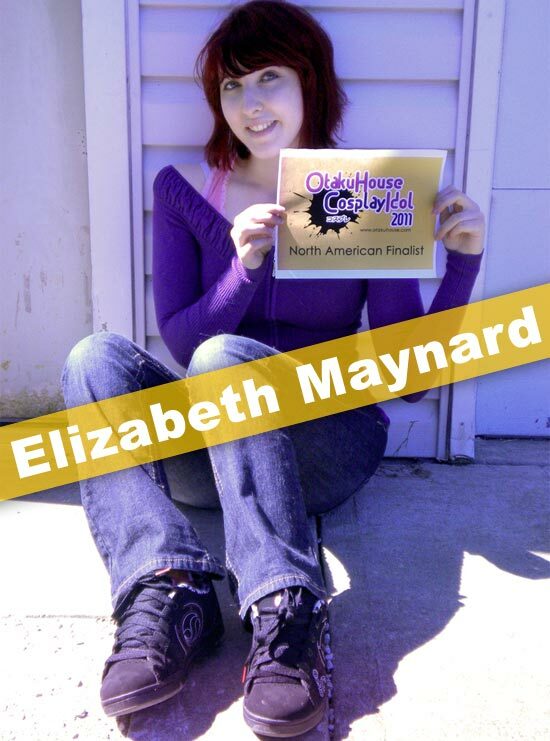 North American Finalist Elizabeth Maynard was one of the Links who made it to the Finals. This outfit was also 100% handmade by me. I made this one without using patterns (minus the pants). The chain mail is handmade as well. I bought a roll of wire, and then coiled it around something round, and cut each of the links, before linking them together. 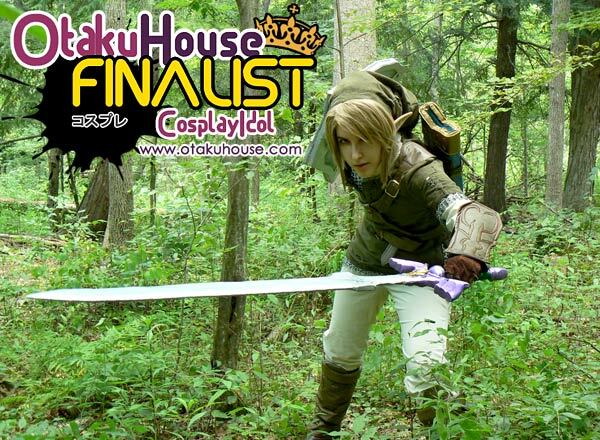 The props, Sword, Shield, and Sheath are all made a from a combination of insulation foam, craft foam, fabric, paper clay, and acrylic paints. The wig is cut and styled by my friend, and the ears are hand-painted to match my skin tone. Everything you see here is 100% hand-made, and the majority done without patterns. The red vest that I am wearing contains over 1,000 eyelets that are laced together all around the vest, it was also hand-painted because I could not find vinyl in a dark red color. The buttons on the coat are hand-made from sculpy and paper clay. The buckles on the outfit were made and altered using gold wire. The props (the sword and gun) were made using insulation foam, craft foam, paper clay, and acrylic paint. Nero’s Devil bringer was made using a glove as a base, drawing on it with sharpie maker, and then adding craft foam and paper clay over top of it, and finally painted with acrylic and oil pants. 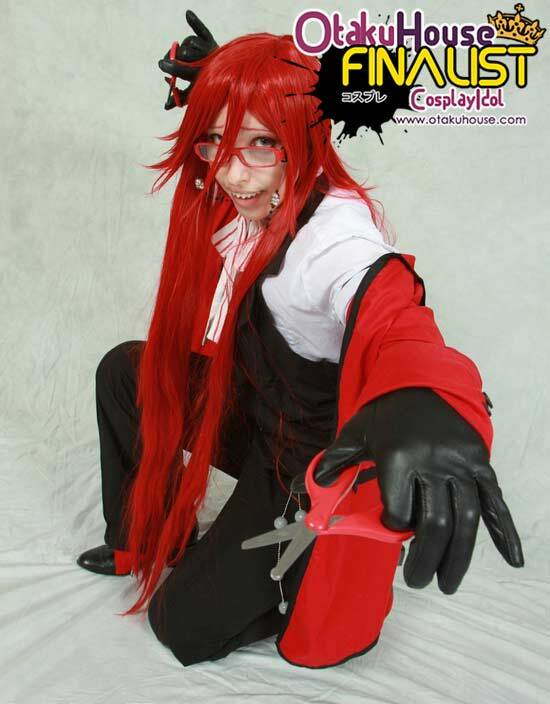 This cosplay was made by me, with the wig styled by a friend of mine. The vest, coat, chain, and bowtie were all hand-made, while the pants and shoes were both altered. The pants were too large, and so I had to sew them so they would fit me properly. The shoes I altered by hand-sewing red fabric onto them, and then inserting eyelets, for the shoelaces. 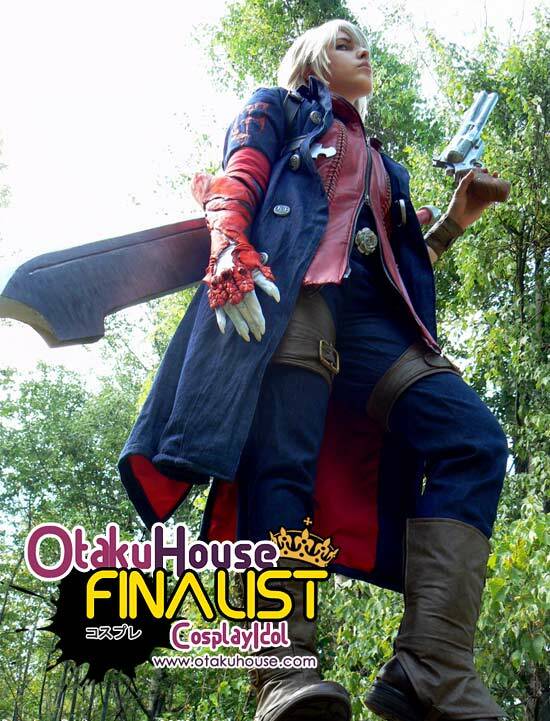 For a lady, Elizabeth sure does some awesome male cosplays! 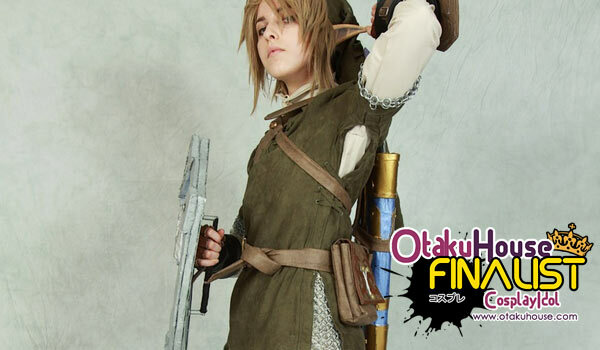 If you like her works, support her at the top of the page by clicking ‘like’ or ‘Google +1’!